Something for all the ladies, that enjoy spending their free time on the green, are the relatively new ladies hybrid golf clubs. They are a very forgiving and easy to hit replacement for conventional clubs, such as your irons and woods. The makeup of a set of golf clubs, for playing an enjoyable round of golf, hasn’t changed for much of the game’s history. 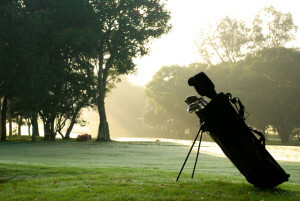 Traditionally, a golf set would include irons, woods and putters. While there have been many improvements in technology, that included the transition from woods made from wood to those made of metal, very little really changed. However, as with many things, an enterprising team felt that something was needed, especially if you were the kind of player that found long shots with an iron, particularly difficult to play. What is new in the world of ladies golf clubs? 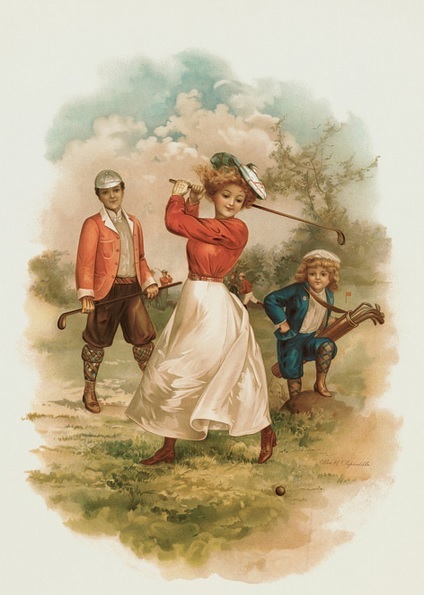 Ladies hybrid golf clubs were introduced along with a number of other hybrid golf clubs to provide golfers with an alternative for a number of specific types of shots. Also know as rescue clubs, this new style of club was a cross between a wood and an iron. The minute they arrived on the market, they became very popular, particularly among amateur golfers. A ladies hybrid golf club brings together the ease of hitting gained from a wood, and the consistency and accuracy of hitting with an iron. All these qualities rolled into one hybrid club – no wonder they have such an appeal. Woods are used by many golfers because they have an easier time making good contact. This is due to the shape of the head of the club and a flatter lie angle. However, just using a set of fairway woods would be impractical, as they are not known for their accuracy. A particularly important quality for a club used when the ball gets close to the hole. Something was needed to be the best of both worlds. Hence, ladies golf clubs added a new kid to the bag – the ladies hybrid golf club. There is another reason worth mentioning, for the hybrids rise in popularity, and how they gained such an increasing share of the market. A large number of players have problems hitting long irons. It’s been traditional for golf iron sets to include 3 irons through to pitching wedges. Even though 3 and 4 irons had many high handicap players struggling to hit decent shots. Sadly, many 3 and 4 irons were simply left to gather dust and never see the light of day. Golfers continued struggling to find another solution, rather than use their 3 and 4 irons, for shots in the 175 to 200 yard range. The rules of the game dictate that 14 clubs can be carried, but traditionally only 12 or 13 were actually used. Imagine the excitement when golfers were given another alternative which meant their 3 and 4 irons could be left in the clubhouse. Many golfers have added one or two hybrid golf clubs to their set, because they allow players to feel more comfortable hitting all the clubs that they carry. There will be very few golfers in your local club that don’t have at least one hybrid in their bag. And it’s not just in the amateur arena that the ladies hybrid golf club has become a regular member of the golf bag. Professional golf players are also using these player-friendly golf clubs. If you’re considering adding them to your set of equipment it’s highly likely that the positives will outweigh the negatives, and it won’t be long before you’re looking for one to add to your bag. But what should you be looking for when picking your ladies hybrid golf club? If you type hybrid golf clubs into your search bar, or spend a while wandering round your local golfing store, you’re going to find the variety of options a little intimidating. Of course you always have the option of reading some of the latest hybrid golf clubs reviews. And you’ll soon get a good idea of the most popular models. But how can you tell which is the right one for you? After all every player is different and everyone had their own specific needs. Reviews are a great place to start, but more homework will be necessary if you want to pick the best one for you. Decide which club you want to replace – For some players the answer will be easy – the 3 iron. If you don’t use yours there’s not much that’s going to be lost if you ditch it and replace it with a hybrid. Ideally you’ll want to be looking for a hybrid with a loft in the range of 21 degrees. If the loft is lower you’ll be left with a large gap, between your 4 iron and your shortest fairway wood, and you’ll be hitting the ball too far. If you pick one that has a loft higher than 21 you won’t find much difference in the distance than your 4 iron. So what’s the point in replacing it. Steel or graphite shaft? – Many golfers choose a graphite shaft. It makes it easier to get your ball of the ground and into the air. It also makes it slightly easier to get more distance. However, if you’re more interested in accuracy, as opposed to distance and height, a steel shaft is the better option. If you often find yourself playing golf when it’s windy a steel shaft is worth considering. Try before you buy – You can read the reviews until the cows come home, but the only way you can really tell whether you’re making the right choice is to try out a few before you hand over your cash. There are so many alternatives on the market that you can really only find the right one by finding out how each one performs for you and the way that you play.